Product prices and availability are accurate as of 2019-04-18 15:16:18 UTC and are subject to change. Any price and availability information displayed on http://www.amazon.co.uk/ at the time of purchase will apply to the purchase of this product. With so many drones on offer right now, it is good to have a drone you can purchase with confidence. 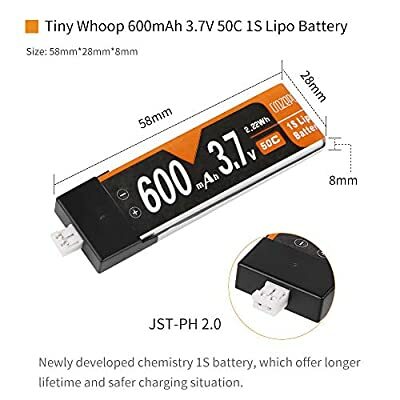 The Makerstack 4pcs 600mAh 1S lipo 3.7V 50C LiPo Battery Rechargeable with JST-PH 2.0 PowerWhoop mCPX Connector for Inductrix FPV Plus Tiny Whoop FPV Racing Drone is certainly that and will be a great purchase. 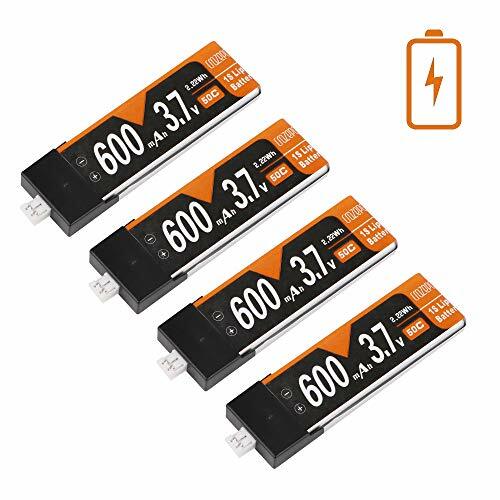 For this price, the Makerstack 4pcs 600mAh 1S lipo 3.7V 50C LiPo Battery Rechargeable with JST-PH 2.0 PowerWhoop mCPX Connector for Inductrix FPV Plus Tiny Whoop FPV Racing Drone comes widely recommended and is always a regular choice amongst many people who visit our site. Makerstack have added some innovation touches and this means great bargain price. 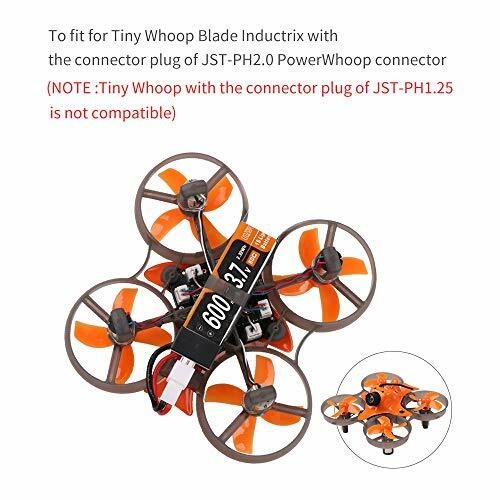 Suitable for: Inductrix FPVPlus ,Tiny 7, Tiny Whoop FPV Racing Drones. 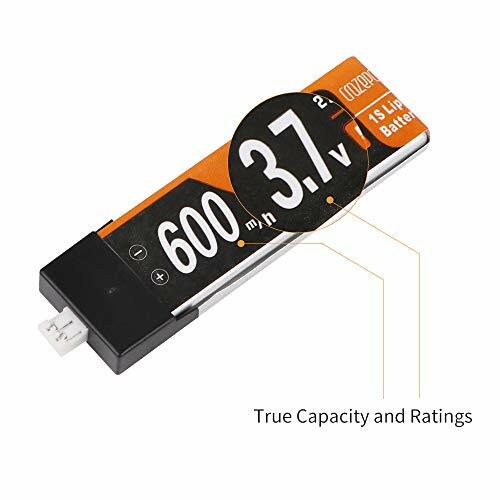 Capacity: 600mAh 50C 3.7V, the 600mAh large capacity provides longer flying times . 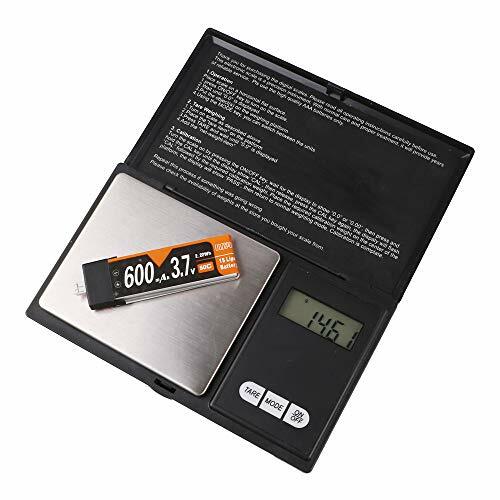 Light weight reliable, 50C Discharge Rate, High-grade Lipo cell is highly reliable and durable for long-lasting use. To fit for Inductrix FPV Plus ,Tiny 7, Tiny Whoop FPV Racing Drones. NOT for Inductrix FPV The connector plug: JST-PH2.0 AKA High current ultra micro, Powerwhoop, mCPX. 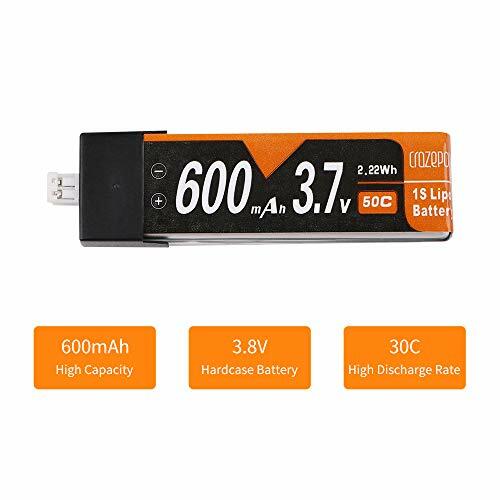 Newly developed chemistry 1S Battery, Much more Safer, higher quality and more powerful rate gives you higher speed flying experience.